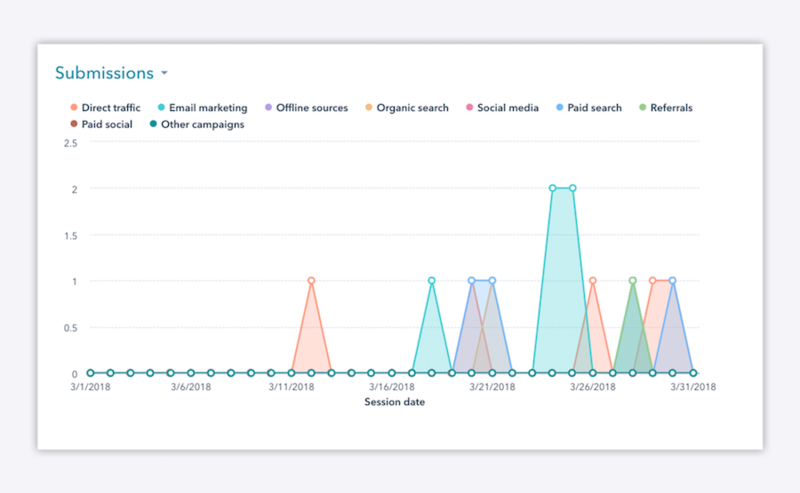 After you send an email campaign, what sort of analysis do you do to understand how the campaign performed? Do you check out your open rate or click rate? This blog will walk you through an effective strategy for analyzing the success of your email campaign. Running an email campaign generally goes like this, you select a list of contacts that you would like to send the email to; easy enough, right? However, after your list is selected and your email is sent, do you analyze how many people on the list actually received your email? Sadly, for a number of reasons, there are cases where the email you have worked to create does not reach the inboxes of your intended recipients. This could be caused by hard or soft bounces, previous actions of unsubscribing from email communication or spam complaints, etc. While some of those metrics are completely out of your control, you still have to properly manage and maintain your list to ensure a good percentage of deliverability. 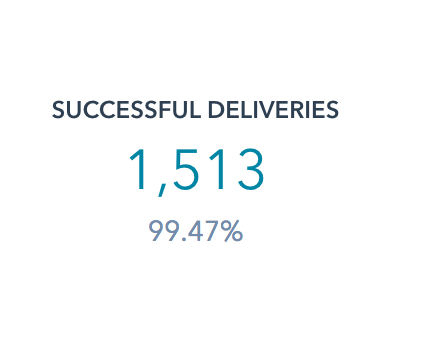 Analyzing your deliverability rate is a good place to start. If you see that 95% or more of the contacts you selected to communicate with have received your message, you have a clean list. If you are seeing anything below that, you need to review your list and contacts to see who you should be scrubbing from your list before things get out of hand. Where do you start? Hard bounces caused by invalid email addresses are the most obvious people to remove from your list. When you are reviewing this list, quickly scan for familiar names, there may be a few cases where you would like to reach out to the contact via phone to get an updated email address from them. Others may look like an obvious typo and you can edit that to see if you are then able to communicate with them. Everyone has their own process for list management, but letting go of these contacts is not as scary as it may sound. If they truly are good leads for your business, they will be back! Also, the consequences of not cleaning up your list far outweigh the consequences of a few missed opportunities. When you continually send to invalid email addresses or contacts who have previously decided to disengage from your content, then your reputation with email service providers (Gmail, Comcast, Verizon, etc) becomes jeopardized and your ability to reach those contacts, as well as perfectly valid contacts could be at risk. Nothing makes marketers happier than seeing a high open rate on our emails. If I had to bet, I would say you are over the moon and consider it a job well done if your email gets more than a 30% open rate. Don’t worry, you are not alone, but open rate is basically a vanity metric. 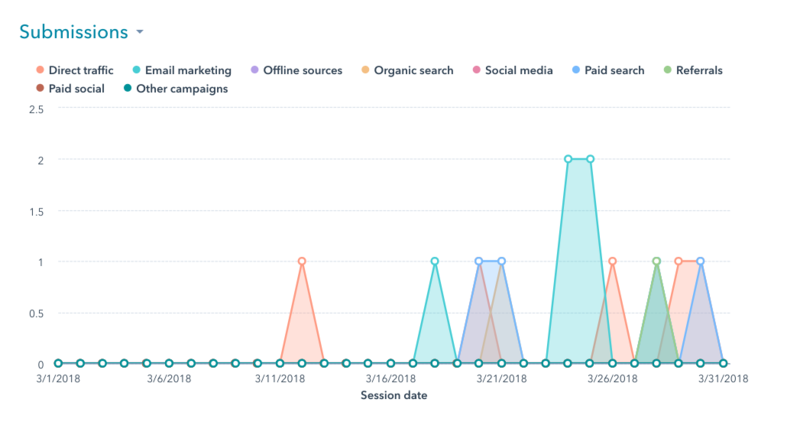 It does show you something about your email campaign, but it does not report on the success of your campaign on a larger scale, so therefore it is useless. They engaged with the email by clicking on the content. Most successful email campaigns are sent with a clear goal in mind. For our purposes, most emails are sent with a goal of lead nurturing to move leads further down the funnel of the sales process. With that in mind, the percentage of people who are actually clicking the content in the email will be driven even closer to the conversion goal and they are the people we care most about. This makes click rate an important metric. If you want to get an even more granular look at your click rate, you can analyze it based on the different links you have in your email. Remember that one goal we were just talking about? 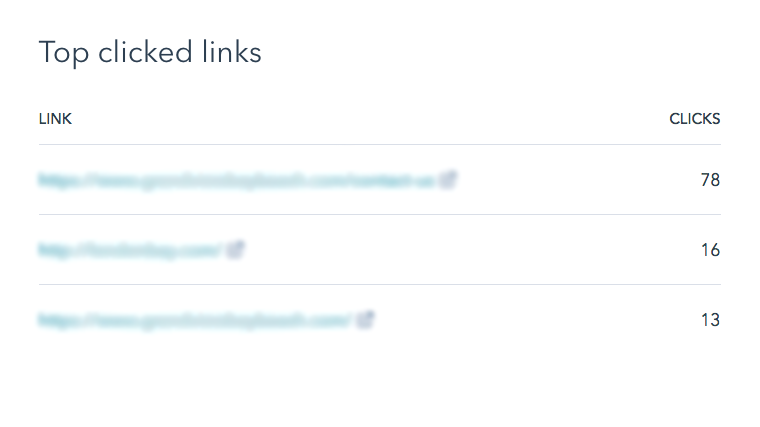 Ideally, this should mean that all of the links in your email are pointing to the same place, but that isn’t always realistic. You may have your logo linked to the homepage, you’ll definitely have a link in the footer leading to your subscription settings, and the list could go on from there. This means that the click rate you are seeing isn’t a true representation of the click rate of your conversion goal. In this example, the 6.6% click rate represents the total number of clicks on the content of this email, in this case 100 clicks. However, it’s important to look at the clicks that are directly associated with our goal conversion point, which is 78 clicks. Now that you have sent your email, analyzed your delivery rate, glanced at your open rate, and understood your click rate, it is time to take a look at your conversion rate. This will tell you ultimately how successful your email campaign was and how many people met the goal of further converting through their sales process as a result of the email. This email campaign that we ran led to the Contact Us page. To analyze the conversion rate, I have left the email analytics and headed over to Website Pages to view the analytics that are available for the Contact Us page. As any HubSpot user knows, you can see the number of form submissions, aka conversions, on a given page in HubSpot. You can filter this by date, which is the most commonly used feature. However, as you continue to scroll down the page, you can really find some very specific data! You will see a graph where you can understand the sources for all form submissions. Where did each lead come from before they filled out this form? In this case, we are looking at the source Email Marketing. Below the graph is a table breaking down the source metrics. Each source on the table is clickable. This means that you can continue to drill down to see not only contacts who have converted from Email Marketing, but those who converted from the very email we are working so hard to analyze. Now that we have seen the entire picture, we are able to truly understand and report on the success of our email campaign. Of the 676 people who opened the email, 78 people clicked to view our specific conversion point, and 4 converted to fill out the form. Now you are probably thinking, 4 people… really? I get it, but there is another point of analysis there. Since we are leading people to convert through the Contact Us page, a very bottom of the funnel offer, we would expect that a smaller percentage of people are actually ready to take this action. Why does all of this analysis matter? Because data-driven marketing is the future. Marketers can no longer get away with reporting on vanity metrics to keep their bosses or their clients happy. Following best practices such as list management and segmentation to communicate to the right audience and driving conversions to help close more sales is the responsibility of the modern marketer. Learn how to optimize your website to generate more leads online. Set goals for your video content and learn how to generate leads through video.